My staffie, Ouboet, died at the age of 11 years. Earlier that year I said to my mother if I get a dog I would like a spaniel or a Maltese poodle. So one of my friends in my class said that her Maltese had two puppies but they were not pure bred. So I asked what breed the father was, and when she answered I knew he was intended for me since the answer was a cocker spaniel. Thus I got a puppy with both breeds that I was looking for, a 2 in 1. He was born on the 9 August 2006 and I picked him up 6 weeks later. Bisciut started with skin problems. I can’t even remember when – that’s how long we struggled. He was constantly scratching and biting. It started to become sores on his body. We first thought it was the shampoo we were using so we changed but it did not stop. So we took him to the vet and he said that Biscuit is allergic to something in the food we are giving him thus we changed that. He also gave us cortisone to help him with the itching, so he was on a light dose for about a year. It helped but it did not improve his skin and he put on a lot of weight. The vet told us that although the cortisone works it has side effect since it’s not good for kidneys. 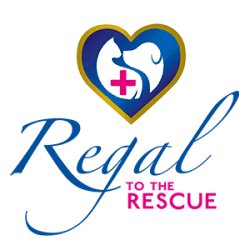 Then my sister phoned me one day and asked me if I had heard of Regal. She saw an advert in Huisgenoot about the Skin Care Range. So I thought, why not, let’s try it. That was one of my best decisions. So on 30 October 2015 I placed my first order and within 3 months we could see an improvement. 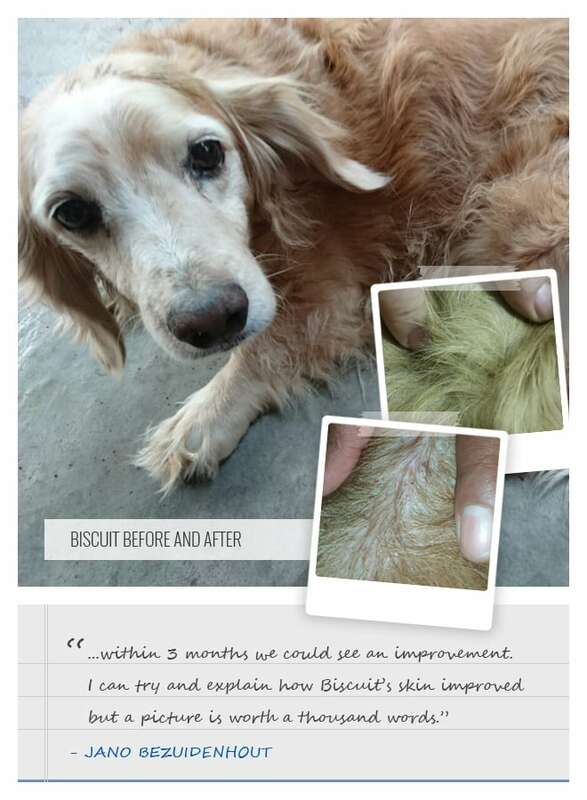 I can try and explain how Biscuit’s skin improved but a picture is worth a thousand words.